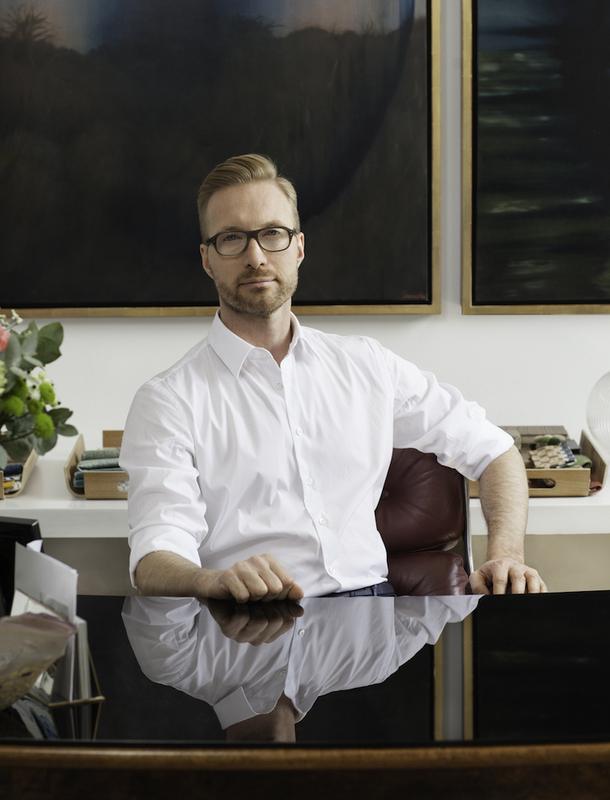 Swedish interior architect and product designer Martin Brudnizki set up his eponymous studio, Martin Brudnizki Design Studio (MBDS), in London in 2002 and in New York in 2012. He previously studied Economics at the University of Stockholm before moving to London and enrolling in an Interior Architecture degree at The American University. In 2015 Martin set up his product design studio And Objects and has collaborated with a number of well known brands including Chelsea Design Quarter members Drummonds Bathrooms and George Smith. We are delighted that Martin is taking part in the Chelsea Design Quarter Top 5 Picks. We met with Martin ahead of publishing his choices next week. Martin, thank you for taking the time to talk with us. Firstly – tell us a little about your background and how you decided to move into interiors having previously studied Economics? I studied economics back in Stockholm as it was a subject my parents thought was sensible. However, I really disliked it and knew early on that it wasn’t for me. I travelled to London soon after and met up with a friend who had been studying interior design at university; he showed me his recent work and I thought to myself “I can do that, and better” so I decided to move to London and study myself. The rest is history. How did you go about establishing your own studio? After graduating from university in London I spent a few years working for various galleries and designers, including David Gill Gallery and David Collins. I learnt a lot during these years but always knew I wanted to have my own design studio. So in 2000 I set up Martin Brudnizki Design Studio (MBDS). The business started in my tiny flat with just a few members of staff. Over the years we gained more traction and moved to Lots Road. In 2012 I set up a studio in New York. You are well known for your work in bars, restaurants and hotels, was it a conscious decision to focus on commercial projects? Do you ever want to change it up and do a residential project? I do actually work on residential projects too, both development and private. At the moment I am work on an exciting private residential property in London. It’s a large-scale project that’s enabling me to have a lot of fun with new materials and craft processes. I only do a handful of private residential projects at any one time though because they are often projects that take many years to finish and demand a lot of my time. It’s someone’s home so you want to make sure you have the time to properly invest in the design and development. You started your studio in London and opened one in New York in 2012 – why New York? How do you divide your time between the two studios? We were working more and more with American clients with a number more wanting to work with us. The addition of the New York Studio was a natural decision to make and has opened up a whole new roster of clients and brands to work with. I tend to spend one to two weeks each month in America. I now have an apartment in the West Village so it’s easier for me to feel settled when I go over. I often have to travel within the US so it’s nice to know I have a familiar base for when I come back to New York City. I get asked this question a lot and it’s impossible to say I have a favourite however, there are some projects that been especially important and pivotal to the studio’s evolution. 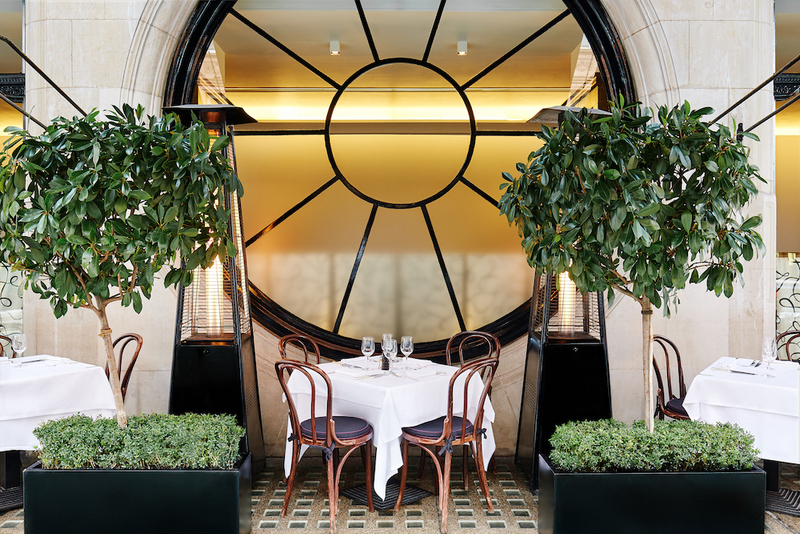 Working on Scott’s in the mid-late Noughties marked the studio’s first foray into fine dining restaurants. It was also one of the very first projects we did with Caprice Holdings, who has gone on to be an important client. 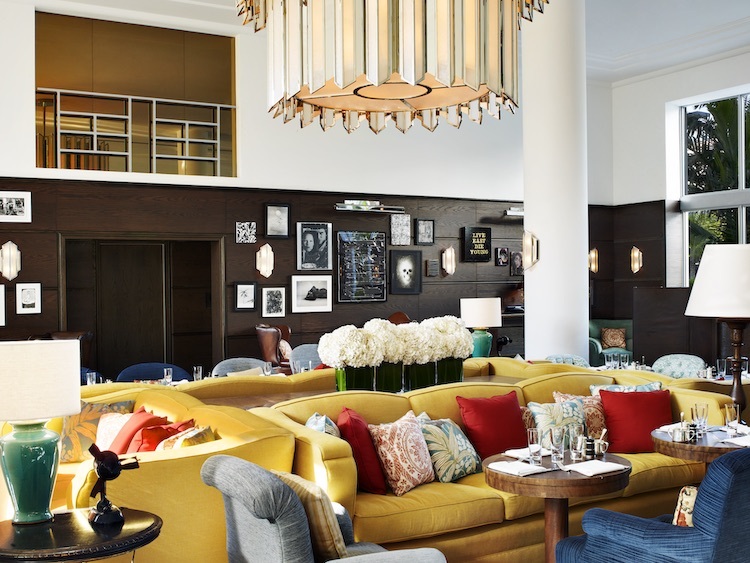 Soho Beach House Miami was another pivotal project as it saw us integrate the successful Soho House brand into America, it was also our first US hotel project. 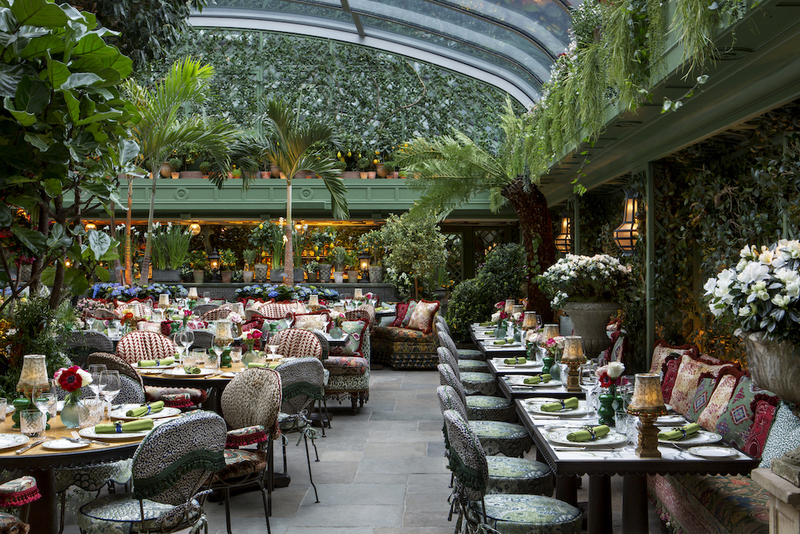 Of course Annabel’s, which opened last year, was a project we’ll never forget. 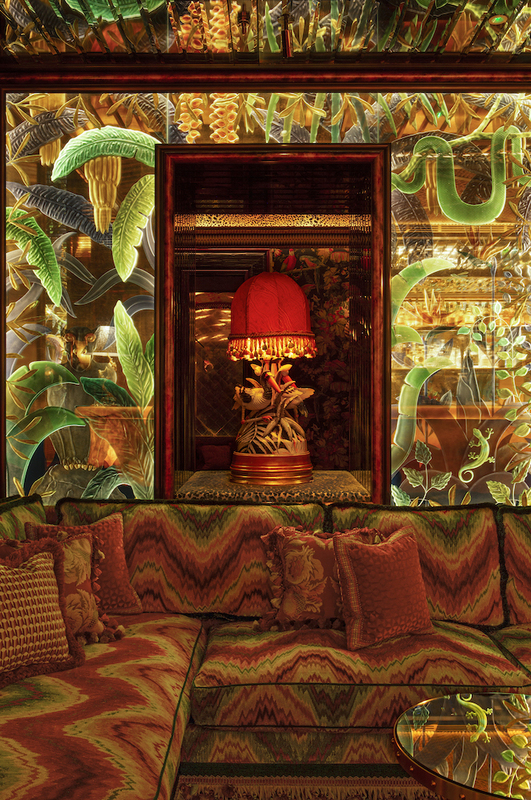 Being tasked with designing the new club at 46 Berkeley Square was a privilege and a lot of fun. It was great to work on a project with so much creative freedom, allowing us to work with some amazing nice artisans from all over the UK. I’ve always fancied going back to my Swedish roots and design a home on the Swedish archipelago. You founded your product design studio And Objects in 2015, what was the driving factor in setting that up? How have you enjoyed creating your own products? At MBDS, a vast majority of the furniture and lighting pieces we include in project schemes are bespoke. We found it was so hard to find ready-made pieces that fitted perfectly into a scheme; they were either too small or long, so we thought, why don’t we just create our own product design studio and utilise our own collection. And Objects works independently from MBDS but it’s certainly very helpful having a product design studio at your fingertips that can easily adjust measurements to fit a scheme. How much do you engage with Social Media? How has its growing influence impacted your design process, if at all? Social media is something that has quickly become an integral part to our everyday lives. On a personal level I use social media as an outlet in which I can share elements of my life, including travel and design inspiration. Both MBDS and And Objects have their own social media channels which form another stream of marketing for the companies. We have found they are incredibly useful tools, not just for showcasing our portfolio but also for broadening the brands’ stories and engaging with people with similar interests. In terms of fashion, I’m quite classic – I like my clothing to be tailored and elegant – but I also like to play with colour and pattern. I’ve noticed that each time I have a meeting with a client, I am often wearing the tones that are included in our interior plans. This is completely unintentional but clearly the designs are seeping into my subconscious. Brexit is the word on everyone’s lips right now and something we cannot ignore. We are now looking to expand on a more global scale with projects not just in the UK and Europe but more in America, the Middle East and even Asia. We have to adapt to changing tides. We’ve experienced every kind of style now from beige minimalism to high street flat-pack homes and I think now we have come full circle. Currently we are experiencing what the media is coining “maximalism”. I hate labels but I think maximalism is showing the way for everyone to discard named styles and simply embrace what they love and enjoy. For me, the look of today is embracing colour, pattern and objects that you have accumulated over the years. The look is homely and lived in and without a label. Are there any trends or styles that you think are due to make a come back? Anything goes now, I think we have finally gotten out of the cycle of labelling styles. We’re now free to design how we want. I always tell clients to be bold and brave in their colour choice. People are often scared of colour but they shouldn’t be. The results are always worthwhile. How did you choose your Top 5 Picks? I have quite an eclectic taste however one common theme is that I like things that are made beautifully and are built to last. Each piece I have chosen are sure to stand the test of time. Some pieces are antique but still feel so relevant for today, others are contemporary but have a sense of longevity. What does the rest of 2019 hold for MBDS? And for you personally? 2019 is a busy year for MBDS. We see the opening of a number of projects, including two restaurants at the new Four Seasons Astir Palace Hotel just outside of Athens, a lobster and steak restaurant in Miami and two restaurants in Azerbaijan, a completely new region for us. We’ll also welcome the reopening of Eden Rock St Barths, after a large portion of the Caribbean resort got destroyed in Hurricane Irma. In and amongst all this, we’re also working on projects on the west coast of America, the Middle East and even Asia. It’s a busy but exciting year for us. I’m hoping at some point I’ll be able to enjoy a holiday to Hydra in Greece and maybe Italy too. Thank you so much Martin. We are looking forward to sharing the products you have chosen next week.